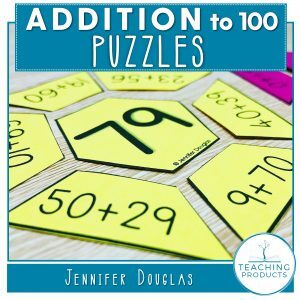 Welcome to the Teaching Products website. This site is owned and operated by Jennifer Douglas of Teaching Products (ABN 787 764 767 22). By using Our Website and the Services and information offered on Our Website, you are agreeing to the following terms and conditions. All activities and resources require adult supervision at all times, whether they are used in a classroom or home environment. While all care is taken to ensure activities are safe for children of all ages, Teaching Products assumes no liability for any injury sustained from replicating activities shared on this website or within products or resources. We / Us etc means Teaching Products and any subsidiaries, affiliates, employees, officers, agents or assigns. Purchasing and/or downloading resources by Teaching Products grants you permission for single classroom use and personal use only. You are not permitted to reproduce any page of the resource, or share a resource in any format. This includes sharing physical copies of resources with colleagues. 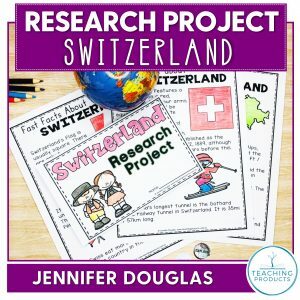 Resources may not be shared or uploaded to other sites without express written consent by Jennifer Douglas of Teaching Products. This includes sharing the file via email, Facebook groups, websites, blogs, discussion boards, or any other online file sharing service. We take no responsibility for the accuracy of any of the content or statements contained on this Website or in relation to our Services. Statements made are by way of general comment or opinion only and you should satisfy yourself as to their accuracy. Further, all of our Services are provided without a warranty with the exception of any warranties provided by law. We are not liable for any damages whatsoever, incurred as a result of or relating to the use of the Website or our Services. You indemnify us from and against all claims, suits, demands, actions, liabilities, costs and expenses (including legal costs and expenses on a full indemnity basis) resulting from your use of the website or products purchased or downloaded from the website. In no event will we be liable for any loss, damage, cost or expense including legal costs and expenses (whether direct or indirect) incurred by you in connection with the use of this website, its products and/or its downloads. If you have any questions about the Website Terms and Conditions, please do not hesitate to contact me for clarification.